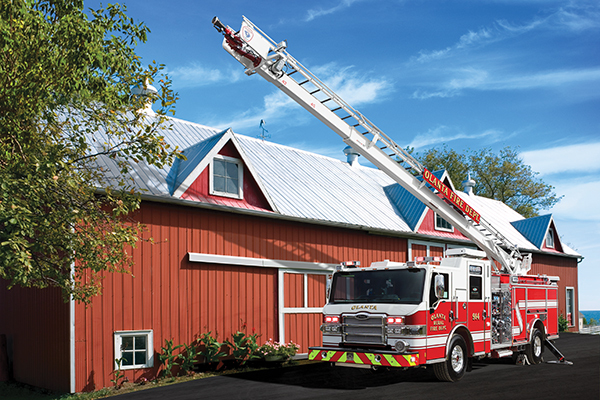 Effortless to use, easy to maintain, & extremely lightweight, giving you superior aerial rescue performance. 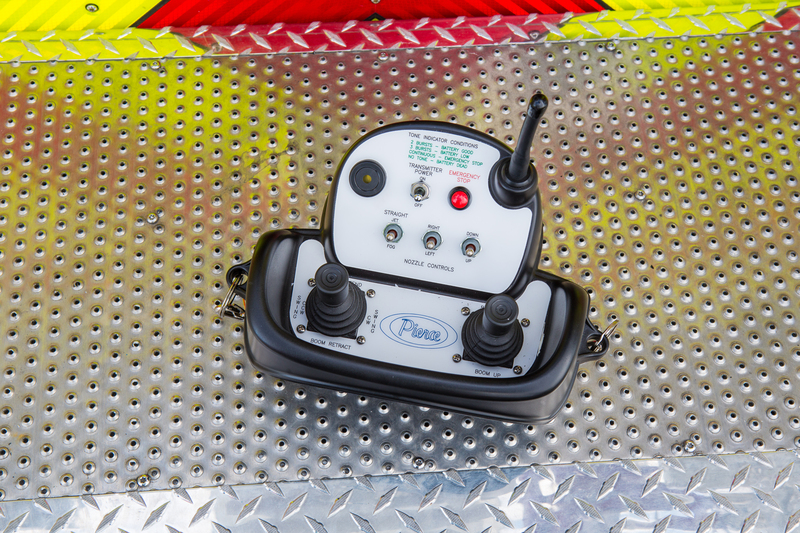 Pierce’s Sky-Boom is the smart choice for communities that need aerial firefighting power but also demand value for their investment. 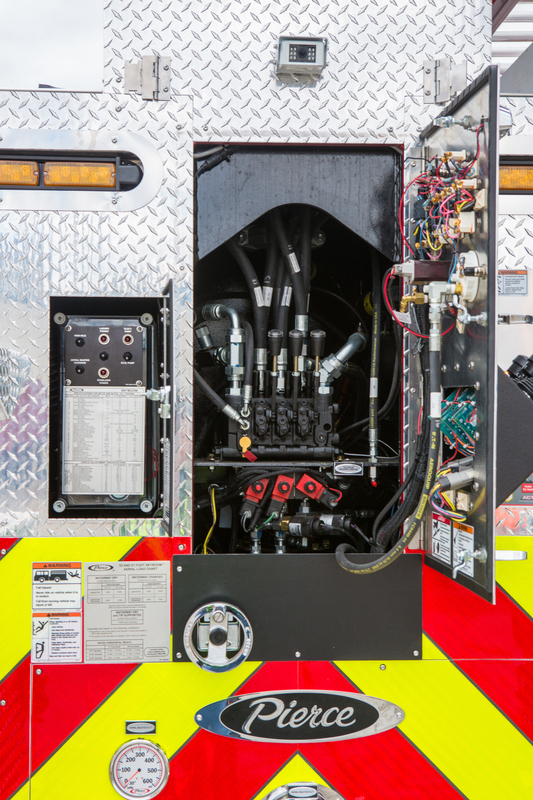 This compact, lightweight workhorse is custom built to deliver everything you expect from Pierce. 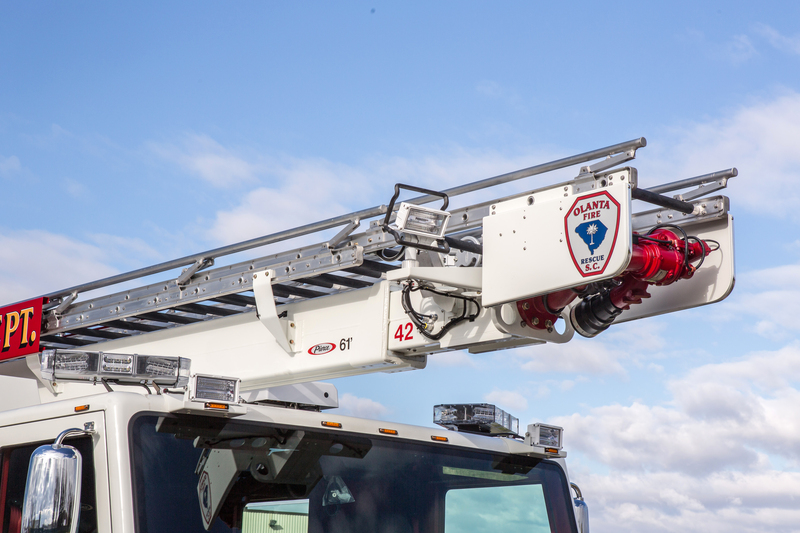 The Pierce Sky-Boom, in your choice of 55' or 61' reach (16.76m or 18.59m), delivers an unrestricted 500 lb (226.8kg) dry tip load rating and a 250 lb (113.4kg) tip load while flowing 1,000 gpm (3,785 L/m) of water. 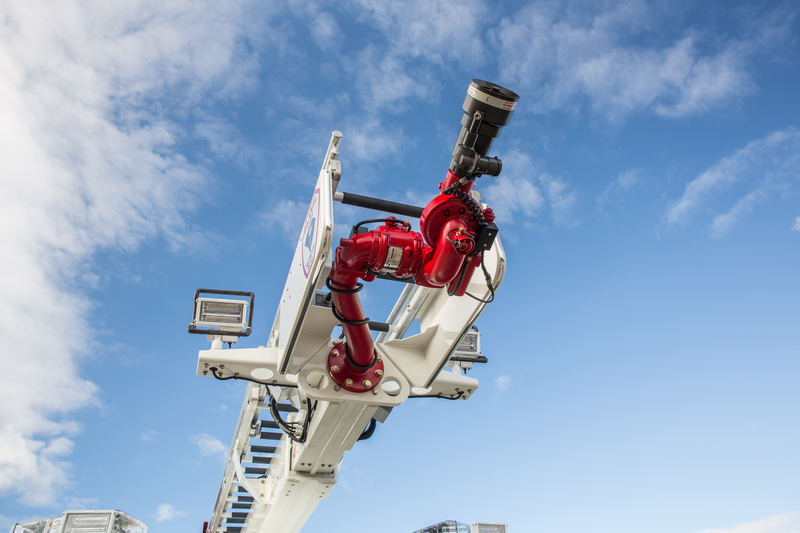 And you can travel where you’re needed with the Pierce Sky-Boom: It is the lowest of any elevated water tower apparatus with its unique fold-down handrails, resulting in an overall travel height of only 10'8" (3.25m). 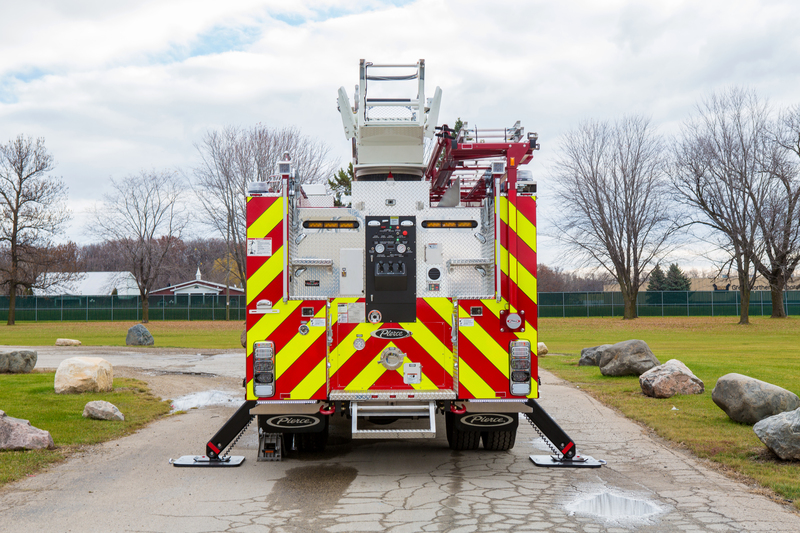 Fixed handrails are also available which bring the overall travel height up slightly to 11'4" (3.45m). 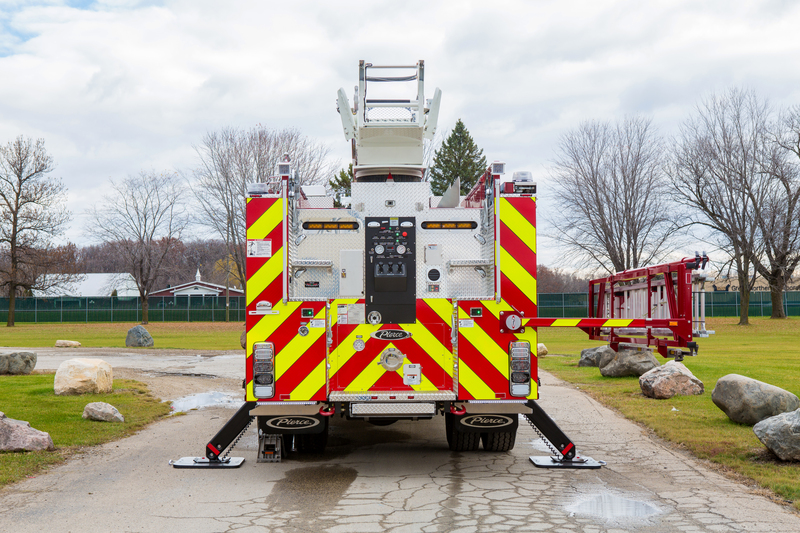 One set of A-style stabilizers with a 12'10" (3.91m) spread provide rock-solid strength and easy set-up. 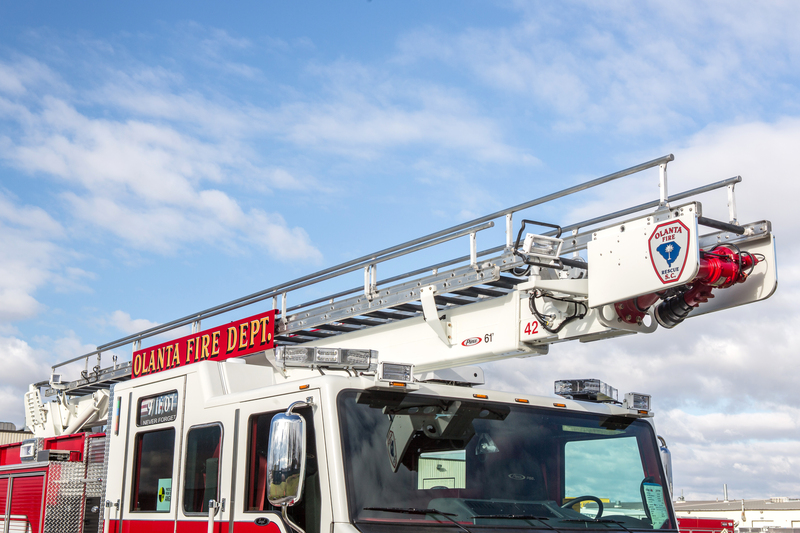 The aerial ladder features wide steps, spaced 14" (36cm) apart for safe, quick ascension. 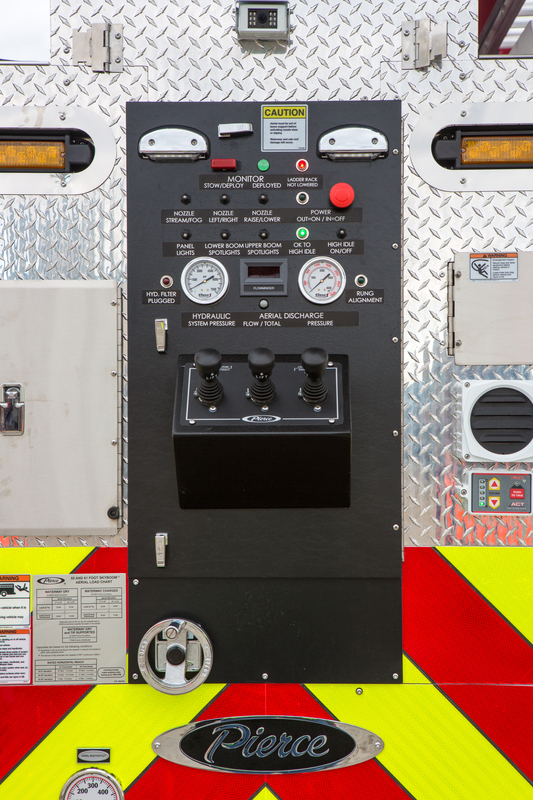 Heavy-duty and serrated rung covers provide the ultimate traction and visibility. 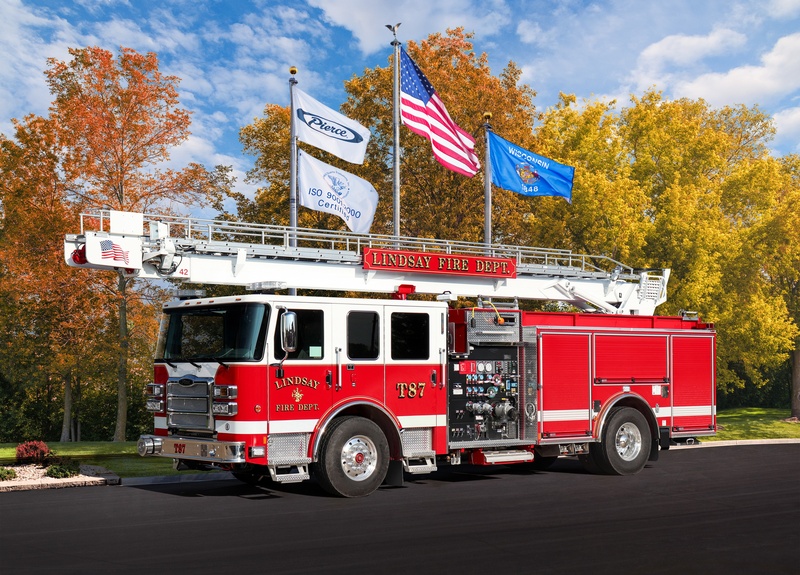 Sales Organization: Golden State Fire Apparatus, Inc.